If you have searched in Google for “locksmith SEO” and arrived to this page, it means we can rank websites. We can do it with yours too! Visualise that if we work on your website by improving it’s search engine ranking, how much your business will grow! Today, it’s not enough to have a beautiful website, it’s like having a shop in an abandoned place, you need real online visitors from search engines or PPC marketing. When someone searches in Goolge for “local locksmith” and you are not showing up in the top of the search engine result pages, you’re losing clients to other businesses. It is kind of an emergency service, people often close themselves out from their home and need ASAP response in 0-24. They just don’t have time to browse all the results and pick the best one, they mostly choose a locksmith from the top results. If you are a locksmith and you’re looking for a reliable SEO company to take your business to the next level, you are on to the best place! With proven techniques, ChelseaSEO can give your business the exposure by dominating the rankings in Google, Bing and Yahoo. Higher ranking means more clients! 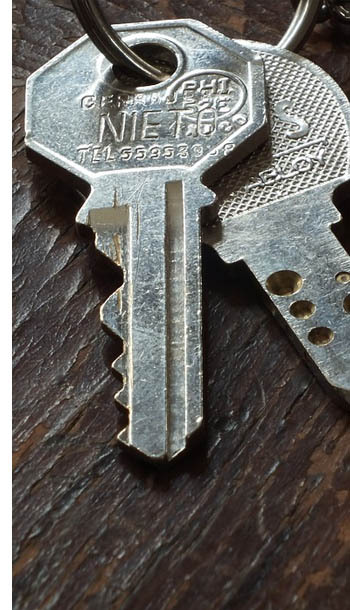 Doesn’t matter if you are offering key cutting service, lock change only or you are a local locksmith in London, Sheffield, or Birmingham, ChelseaSEO can help you achieve your goals! In the long term, search engine optimisation is better and way cheaper than advertising on Google / Facebook. As key services is a very competitive market, the keywords are very expensive without promising any conversions. You have to pay every month on your marketing campaign to get online visitors, meanwhile if you had you website optimised with our SEO agency, and achieved a good position, it doesn’t cost you that much money like PPC, however it will not yield immediate results. Your ranking will stay there, it won’t disappear overnight, you can count on the steady, organic traffic it gives you every month without using for PPC. Just a few example, if you want to advertise for the keyword “locksmith Richmond”, according to Google’s Keyword Planner, it costs you minimum £18.41, for “locksmith around me” it’s minimum £11.35, another one, “locksmith London” is minimum £6.13, these are the cost for one click only! With proper SEO management, you could get the same amount of visitors, but for significantly less money. The first step is to do an in-depth technical audit of your website including current rankings, internal & external linking, existing content, errors, researching new keywords, etc. We take our time to get to know your key cutting company and your major competitors. The next step is to build a long lasting strategy to dominate search engines for targeted keywords based on our findings. We implement our proven techniques and optimise your website for maximum success. These include error fixing, on-site and off-site optimisation, organic linkbuilding, content creation, local outreach, citations and more. We are not stopping, as SEO is not a one-time activity, we continuously working on your website. We keep updating your content on regular basis, also maintaining and improving your external back-link structure. As you watch your key cutting service’s website climbs to the top results of Google within a few months only, and your revenue increases from a steady stream of new clients, you’ll be realising the benefits of investing in our SEO packages. Our locksmith SEO experts stay up-to-date with the current search engine optimisation news, ensuring that we are always adjusting our strategies in an always-changing industry. It is not a luxury to be at the top of the search engine result pages. Our marketing professionals are ready to plan a strategy for you. Let us help you grow your local business to the next level! We offer various packages and consultation for small and larger companies. Discover our best SEO Packages or feel free to contact us for more details!